Come to the Midwest you will see new sites. 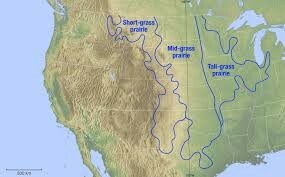 The Midwest is where the Great Plains is located.Some of the major landforms in this area are lots of grassy rolling lands and large farms and ruff surfaced mountains.The Great Plains is also called the prarie because of it's common animal the prarie dog. Also there are lots of major bodies of water like the Missouri, Mississippi, Arkansas, Platte, Canadian, and Saskatchewan, Alberta, and Manitoba rivers are the major bodies of water in the Great Plains. In this wonderful region the climate is in winters there are blizzards and have bitter winds so if you choose to live in is region you should try to stay warm in the winters. 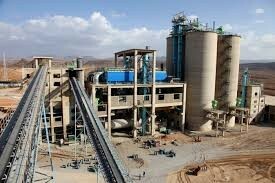 But in the summer it is very hot and also dry winds. But there are some bad things in this region to like floods, droughts, serve storms, tornadoes, hurricanes, and bad winter storms. Now the states in the Great Plains are North Dakota, South Dakota, Nebraska, Kansas, Arkansas, and Iowa. The major cites are Jefferson city, Des Moines, Topeka, Lincoln, Pierre, and Bismark. if you decide to come to this region some of the natural resources are pretolum, natural gas, coal, oil, cotton, rich oil, Fish, lots of wildlife, digest, wood, human behavior, engineering, water, and maping. As you can see there are lots of resources in this area. there are also lots of manufacturing people manufacture light airplanes,aircraft, Mount Rushmore,farming equipment,railroads,spacecraft, turf , landscaping epuitment, and also towns. So if you like manufacturing you might want to visit or live in the Great Plains. 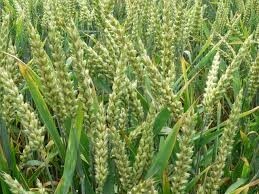 The Great Plains has a lot of farming and when there is crops. Some of the main crops are wheat, barley, rye, alfalfa, oats, sourgum, choke cherries, blue wild indigos, fiber products, canola, corn, soy beans, fish, maze, pumpkins, squash, sunflowers, goose foot, tobacco, and plums. So if like farming and decide to move I would come to the Great Plains. Most of the jobs in this area are farming/ranching, building and construction, working at markets, managing television, ecologists, and engineering. So if you decide to move or visit you will probably have a good job or business. In the 17th century, wooden plows were some of the most sophisticated tools available to farmers. Today, farmers grow record crops through innovative farming systems and the use of cutting-edge technology. The Great Plains has long grassy rolling lands that cover the Great Plains. The Great Plains is located along side the Rocky mountains is where it's located. The important thing about the great plains is they have the state Kansas and Kansas is known best for manufacturing and without manufacturing we wouldn't have vehicles or planes in the USA. The interesting thing about the great plains is Missouri that also manufactures way new and different things like automobiles, limousines, railroad tracks, and fire engines, also one of the main ones they manufacture is airplanes and aircraft. So if any body that you know or if you want move here I would say the Great Plains is the right choice for you. 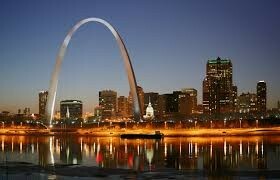 The Gateway has a beautiful site that towers over the buildings of St. Louis. The Gateway Arch is in St. Louis,Missouri. Millions of people visit this wonderful site each year. This 43,000 ton arch cost $97,300,000 in need to build the Gateway Arch. Also a lot of Steam boats and merchants pass on the Mississippi and Illinois river by the Gateway Arch. The Gateway Arch was built in the 1960's and most of the people that live near the Gateway Arch are Europen's that come countries like Germany, Great Britain, and France. A lot of people want to learn the history because of its glourious site. So if you like trips visit the Gateway Arch. Also maybe you could come live in the Great Plains. 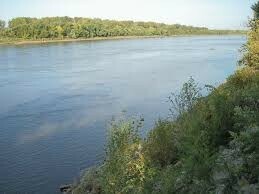 So if you decide to come to the Great Plains you will have plenty to do there. So if you either want a job or not come to live in the Great Plains. 3. Rubel, David. Scholastic Atlas of the United States. Scholastic 2000.